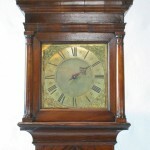 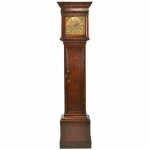 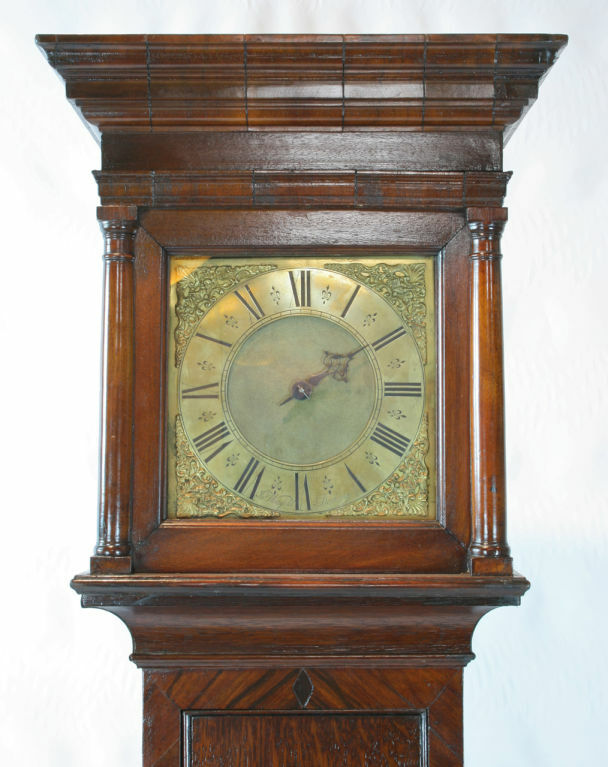 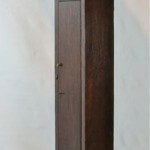 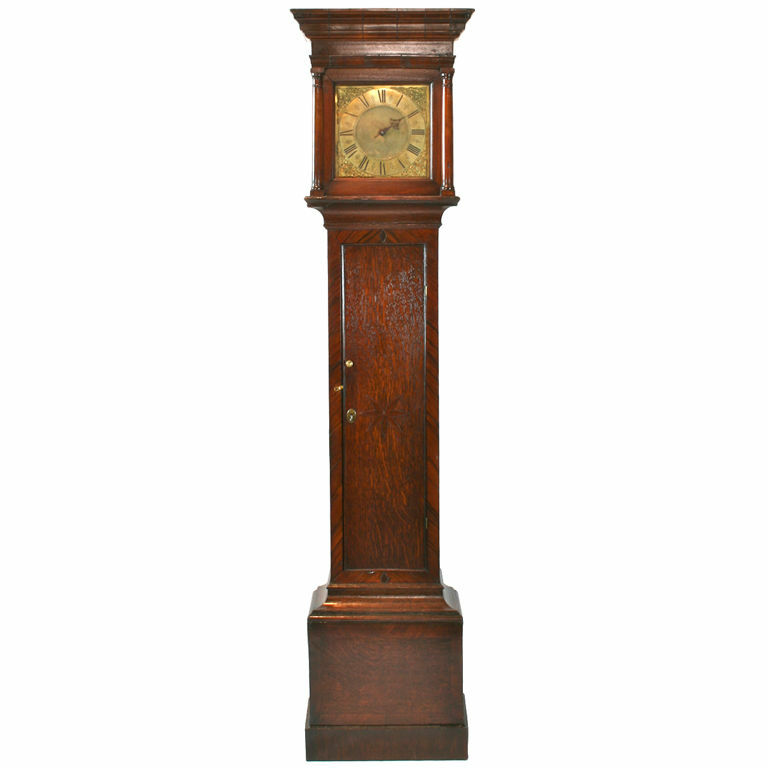 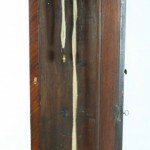 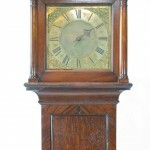 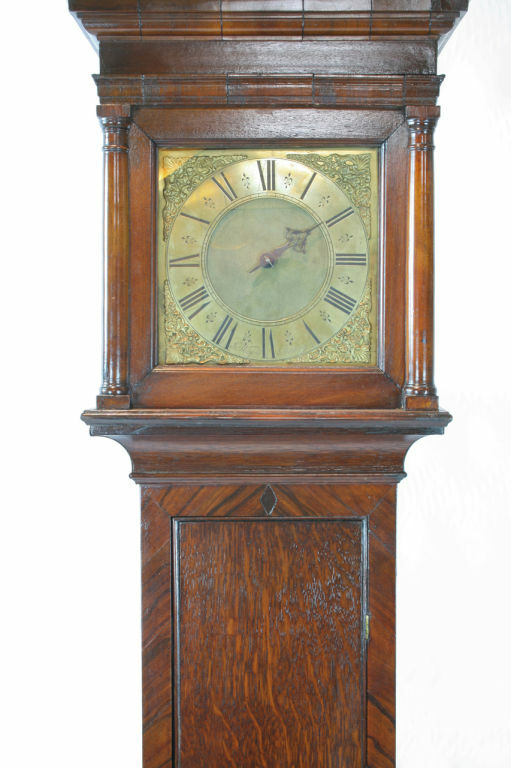 A very charming early-18th century oak tall case clock by John Worsfold of Dorking. A single hand time and strike with a 30 hour continuous chain movement, early anchor escapement, single weight, and square brass dial. 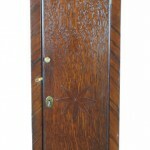 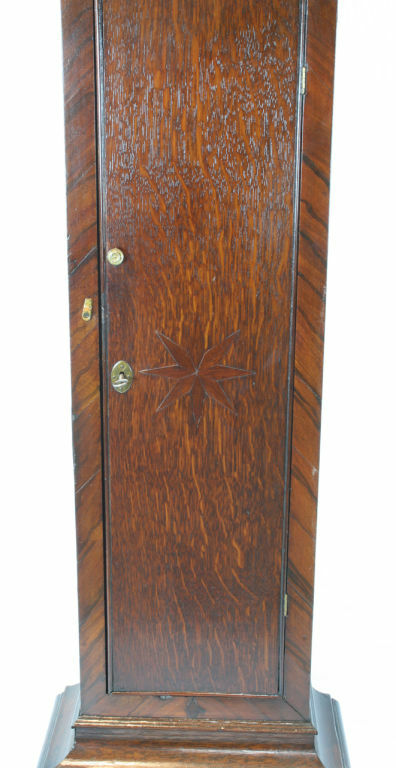 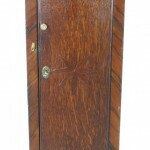 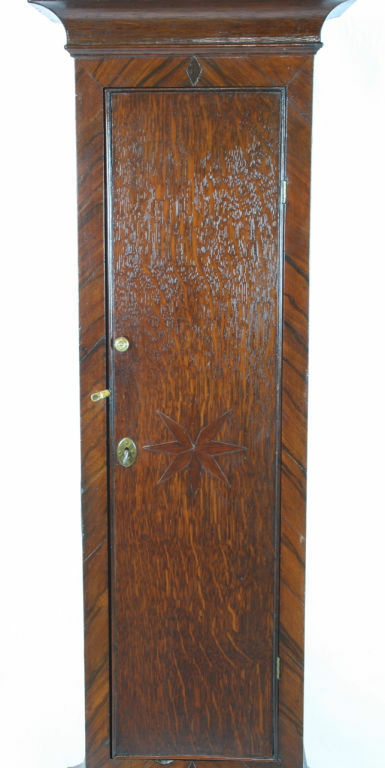 The clock is inlayed on the case door with a rosewood star and diagonal wood inlay patterns frame each panel of the oak case.